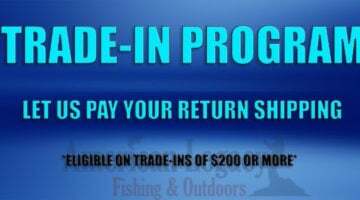 You are here: Home / Newsletter Archives / Receive 2,000 Bonus LLR Points ($20 Value) With Purchase of Any Dobyns Fury Rod! Receive 2,000 Bonus LLR Points ($20 Value) With Purchase of Any Dobyns Fury Rod! Receive 2,000 Bonus LLR Points ($20 Value) Plus a Free Hat With Purchase of Any Dobyns Fury Rod! As we’re sure most of you know, the Dobyns Fury rods offer some of the very best value in the industry. They are a fantastic rod at a reasonable price. For the next two weeks, we are offering 2,000 Bonus LLR Points with each Dobyns Fury purchase. This is $20 worth of points to use on your next purchase. You get the bonus points for each Fury purchased (Buy 2 Fury rods, get 4,000 points, etc). In addition to the Bonus LLR Points, we are also including a FREE American Legacy Hat with your purchase. Points will automatically be added to your account after completion of checkout. Bonus points will be visible during the checkout process. Free hat will be included automatically. 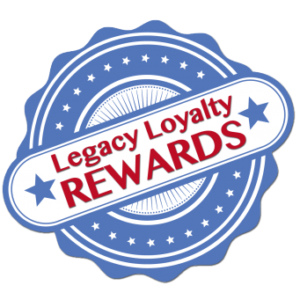 Haven’t signed up for our Legacy Loyalty Rewards? Simply click here to sign up. It’s free and you can starting earning points right away!